I am very interested in the 'Block cutting machine LT 1204' you released on STONEBTB.com. I am very interested in the 'Stone Edge Profile & Polish Machine' that you released on STONEBTB.com. I am very interested in the 'Tumble Blasting Series-TB1' you released on STONEBTB.com. I am very interested in the 'Stone Pedestal Sink LD-F002' you released on STONEBTB.com. I am very interested in the 'LXS-380AA Auto. 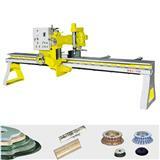 Stepless Speed Stone Edge Profiling and Polishing Machine' that you released on STONEBTB.com. I am very interested in the 'Thin Pavers' you released on STONEBTB.com.